The idea of a perfect dealership experience stems from the service you receive, the quality of the inventories you survey and the continued customer commitment you observe. For shoppers from West Warwick, Coventry and Cranston, this reality is one that can be discovered at Balise Honda of West Warwick. Our team only wants what is best for our customers from Johnston and Providence, and will work extremely hard to always treat your automotive needs as our number one priority! Glimpsing over our lot full of new Honda models, it’s quite easy to picture yourself behind the wheel of a mint condition vehicle passing by a nearby destination or landmark. The idea of stopping down to the Rocky Point Blueberry Farm in a new Honda Accord or Civic model is enticing, with a trip to the Warwick Neck Lighthouse or Oakland Beach in the CR-V also very striking. This new model lineup is known for being very reliable, offering premier value and transforming the moments you spend maneuvering the local roads. You’ll even find our pre-owned lineup of quality cars, SUVs and trucks to be suitable for these types of trips! While selecting a new or pre-owned vehicle is normally regarded as the fun part, the finance team here at 509 Quaker Ln, West Warwick, RI 02893 prides itself on making the financing process as enjoyable as can possibly be. These Honda car loan and auto lease specialists are put to work immediately after you select a vehicle to help you decide the best financing path forward! Once you’re on the road and putting miles on your new and pre-owned vehicle, you will want to treat it to professional service and care routinely to help maintain its condition. Our service center of factory-trained technicians and auto part specialists in our Honda parts center will always be here to assist you. 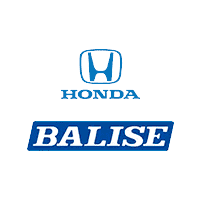 Plan your visit to Balise Honda of West Warwick today from West Warwick, Coventry, Cranston, Johnston and Providence, RI to begin realizing your dream of a perfect dealership experience! We look forward to exceeding your expectations from the very beginning.